Do you know why I love the holiday season? It’s not because I get to see family and old friends and eat a bunch of food, it’s because the retail world saw an opportunity for mass marketing! Call me crazy but who doesn’t love a good sale? Although Black Friday and Cyber Monday are the biggest sales days of the year, retailers keep the sales momentum going from mid-November to mid-January. My motto is: never pay full price for anything! Now I say all this to say, be on the lookout for great deals on outerwear this season. I scored this awesome Rachel Roy statement coat at Macy’s for 40% off. Actually, my wonderful mother decided to buy it for me as an early Christmas present. Thanks Mumma! A statement coat is the perfect winter accessory. Go for something tailored yet warm to get your monies worth. 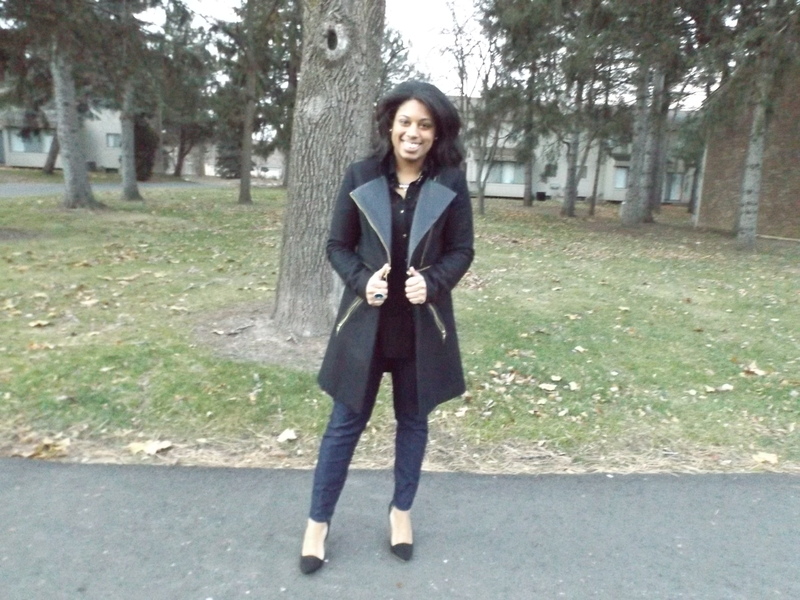 A coat like this Rachel Roy coat will last through several seasons plus it has a duel purpose as it unzips into a blazer. One coat worn two ways. Wearability – can you wear it with several items in your closet? Do you own or plan on owning a statement coat? Happy statement coat shopping! That coat is super cute! 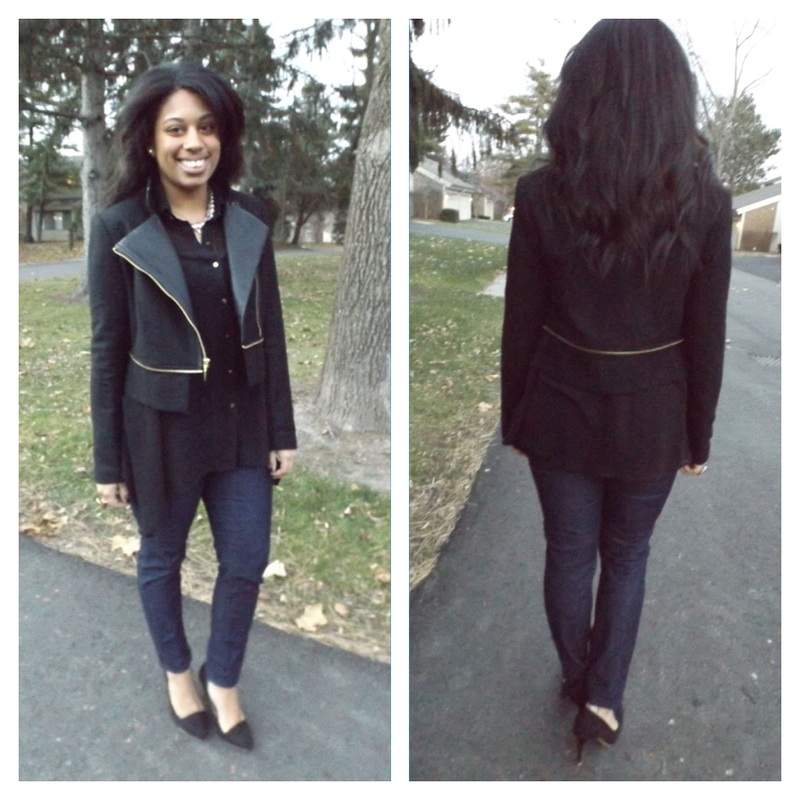 I love how it can be made into a blazer!